I’m delighted to announce our paper on Proximal Hamstring Tendinopathy (PHT) has been published in the Journal of Orthopaedic Sports Physical Therapy (JOSPT). Goom et al. (2016) is a clinical commentary on evidence based assessment and management of PHT. We’ve made the full version of the article available here. It’s been a long journey from developing PHT myself to eventually publishing on the topic 3 years later. I’m very grateful to my lovely wife Katy for putting up with me through hours of study and Mike Boyce at the Physio Rooms for his support throughout. I was very fortunate to have a fantastic team of co-authors who were a real priviledge to work with! I’m a huge fan of Mike Reiman’s work which was featured recently on the site. 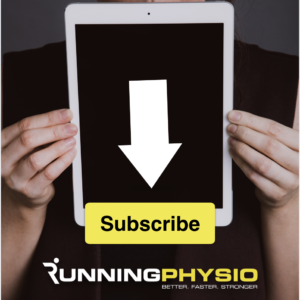 Peter Malliaras is a leading light in tendon research and his fantastic blog is a must read for anyone interested in tendinopathy. Craig Purdam is a genuine tendon legend! His work with Jill Cook forms the backbone of much of modern tendon management. I learned a huge amount from all three! We suggest a 4 stage rehab programme which can be adapted to suit individual need. These are based on recent tendon research, EMG studies (which indicate which muscles are active during exercise) and principles of strength and conditioning. It’s important this isn’t seen as a recipe! Just some guidance on exercise selection. For more details please read the full paper linked above! I hope you find it useful and look forward to your feedback! If you’d like to know more about tendon rehab and management of running injury, including gait analysis come along to the Running Repairs Course. At time of writing we have places available on our upcoming course in June which you can book online here. Previous articleProximal Hamstring Tendinopathy… The plot thickens!